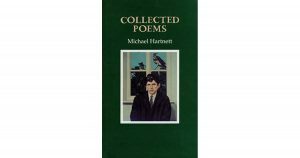 Michael Hartnett (18 September 1941 – 13 October 1999) (Irish: Mícheál Ó hAirtnéide) was a bilingual poet who wrote in both English and Irish. He bagged laurels in Irish writing during the 29th century and has been called “Munster’s de facto poet laureate. 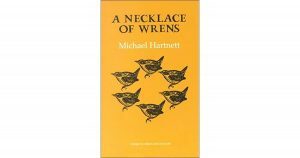 To honor him The Éigse Michael Hartnett, a poetry festival established in 2000, is held annually in Newcastle West, County Limerick. Michael Hartnett was born in Newcastle West, County Limerick. He grew up spending much of his time with his grandmother Bridget Halpin, who resided in the townland of Camas, in the countryside nearby. His grandmother spoke to him in English but he also overheard her speaking in Irish to her friends and neighbors. In this way, he got the first hand of learning both the languages. He completed his primary and secondary education in the local national schools in Newcastle West discovering the fact that Irish was considered an endangered language. After his secondary education, he migrated to England to work as a Tea Boy during 1960s. He was writing by then and his articles being published in the newspapers, one of them headlined “The teaboy of the Western world”. 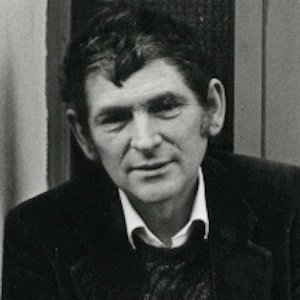 Though he grew up in poverty Hartnett, he attended University College Dublin for a year on a scholarship where he caught the attention of Poet and professor of English John Jordan. Michael almost never attended a lecture, the study was for others. It was his ambition to become a poet. All his life his means of making a living afforded him a frugal lifestyle. 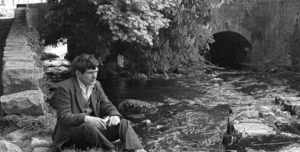 He spent the latter part of his life writing poetry full-time, working not only on his own poems but on groundbreaking translations of the classical poets of the Irish language. In Dublin, he was the co-editor of the literary magazine Arena. His first book, Anatomy of a Cliché, was published by Poetry Ireland in 1968 was critically acclaimed and he, therefore, decided to live permanently in Dublin henceforth. During his stay, he got his first 3 books published by New Press, The first of these was a translation from the Irish, The Old Hag of Beare (1969), followed by Selected Poems (1970) and Tao (1972). He also won the Irish American literature award and Arts Council Award in 1974. In his 1975 book A Farewell to English, he declared his intention to write only in Irish in the future. Though he wrote his own poems in Irish it was questioned and probably reasoned that it was a part of his attempt to be accepted socially as a professional poet. But a year later He embossed his return to English with the publication of Inchicore Haiku, a book dealing with his personal life. He also continued working in Irish and produced a sequence of important volumes of translation of classic works into English. These included Ó Bruadair, Selected Poems of Dáibhí Ó Bruadair (1985) and Ó Rathaille The Poems of Aodhaghán Ó Rathaille (1999). Hartnett was addicted to alcoholism most of his life and continued to struggle with it and it is also said to be the reason for his sudden premature death in 1999. His death can be viewed as an accident of time and place. In a sense, he was a martyr to poetry. Gifted, even a genius, but nonetheless a martyr. He has left a legacy of poetry in Irish and English behind him. The Killing of Dreams (1992). The Poems of Aodhaghán ÓRathaille (1999). Tao: A Version of the Chinese Classic of the Sixth Century (1971).